These would look pretty sweet on HellBetty! 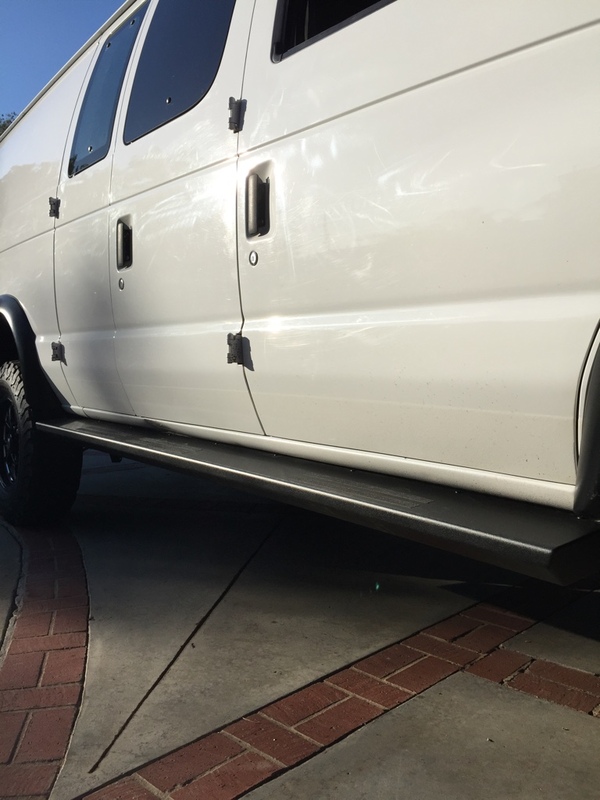 The pickings for good looking and highly functional running boards/steps/sliders for our vans is pretty slim. My guess is that manufacturers don't see a future in providing for vans that are no longer produced so, just when you find something you like, it turns out they don't have a version to fit. There are custom-made ones that cost plenty and may or may not suit the need. There's a guy on here that makes some great sliders (somebody help me out with his handle, I'm blanking...) and they're the real deal for sliding on rocks, but were a little too basic-looking for me. If you want rugged, though, I'd go there. I needed a really good step more than I needed rock protection. What I really lusted after were the AMP electric steps, but you can't get em anymore. 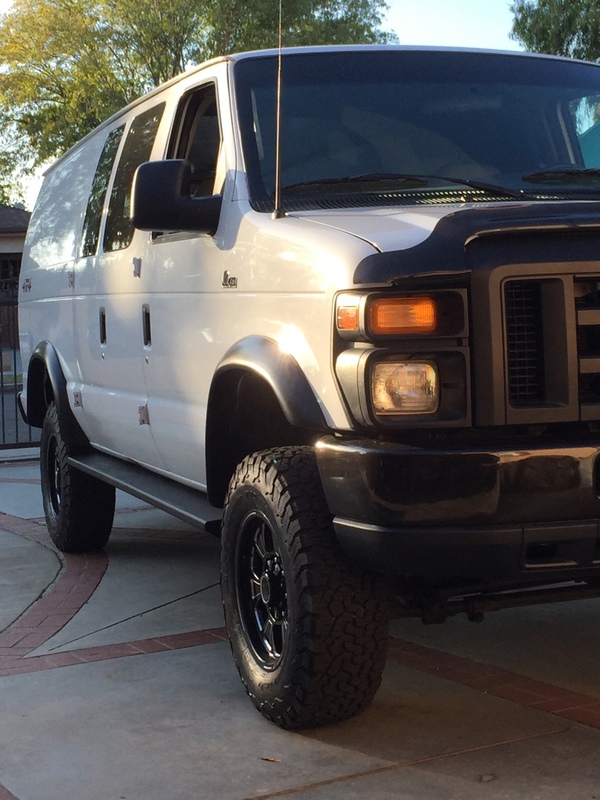 I found a guy in Chicago who adapts the Sprinter version to E350s but wanted something like $3500. After tons of research, I was about to pull the trigger on the Aluminess nerfs and get a custom powdercoat job (didn't want black). But then I decided to embrace my chrome look for now and found these polished stainless ones, with a nice wide step. At 20% off and free shipping, they were more reasonable. Should be arriving in a few days. I'll let you know how they do. 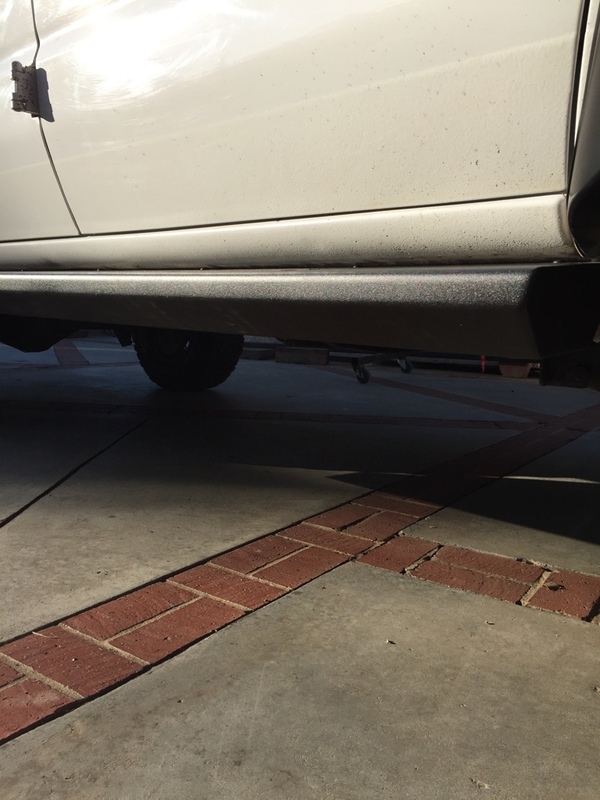 I have these running boards and they are great, IMO. Look better and don't flex like NFab's tubes. Plus, they have great customer service. Wicked Mike design. All aluminum boxed in. Wow, bb121 --- I really like the look of these ones on your van. They've got a clean "OEM look" to 'em, and match well with those Bushwacker flares. Very nice! Price looks fairly reasonable on these too. Good observation, the board lines up perfectly with the bushwhacker flare. These are custom made to order by my buddy in North Hollywood.